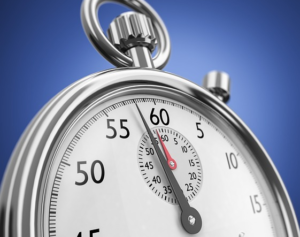 What Is The Fastest Way To Get Life Insurance Coverage? If you live a super busy lifestyle and you have very limited time to spare, or you getting a life insurance policy within a certain time frame has been mandated for some reason, then you’re going to need to get a life insurance policy super fast. Even if there is no real rush, it’s likely that you are going to want your life insurance coverage to be effective as quickly as possible. After all, who likes to wait around? Whether you must get coverage quickly for whatever reason, or you just want instant gratification, filling out long applications, going through a medical examination, and waiting for a month or two (or even three!) to find out if your approved isn’t going to work for you. If you’re someone who needs life insurance, like, right this minute, then keep on reading! Below, you’ll find some valuable tips that will help you secure coverage for a life insurance policy lighting fast. Your health should be in good standing. If you have any health issues, that will delay the process of getting coverage. Why? – Because you’re going to need to have a medical examination, which could delay the process. You shouldn’t have any serious infractions on your driving record; if you do, they should have occurred 5 years ago or more. The amount of coverage you’ll receive will be limited. The majority of companies that offer instant coverage will only offer as much as $500,000 in coverage. With that said, let’s discuss how you can get life insurance coverage as quickly as possible. Thanks to the advent of technology and our desire to get things done quickly, many insurance companies have decided to streamline the process of providing applicants with instant life insurance coverage. You can find a reputable carrier by simply logging into your computer and entering “instant coverage life insurance policies” into your search engine of choice. Before you choose a company, however, make sure you do a little research. Find out about the provider’s history, what type of policies are offered, what the application process is like, and what their approval rate is like. One of the most important things to remember if you want to get life insurance coverage super fast is that you need to be completely honest. You should always be honest, even if you don’t need instant coverage; however, with policies that are effective immediately, you’re going to want to be a regular Honest Abe. Make sure you are upfront about pertinent details, including your health, your family’s health history, your driving record, any medications you are taking, and any dangerous activities that you engage in. If you “fudge” information, you’ll only delay the process. Plus, being honest will not only help you get coverage faster; it will help you save money, too! If you want to get coverage quickly, you’re going to want to work with a carrier that doesn’t require a medical examination before issuing a life insurance policy. There are several companies that offer policies without a medical exam; Fidelity Life, Foresters, and American National are just a few. In lieu of a medical exam, the insurance provider will ask you to provide information about yourself. They will then (with your permission) access several different databases to find out about your health, driving record, lifestyle, and any other pertinent information that will affect the risk of insuring you. If you are approved for a policy, when your coverage will go into effect will vary. Some companies offer immediate coverage; the moment that you are approved and accept the terms and conditions, you’re covered. With other providers, there is a short waiting period; you’ll usually find out if you’re approved within 24 to 48 hours, and your coverage will go into effect once you are approved. If you need life insurance fast, instead of working directly with a provider, consider working with a company that provides life insurance quotes from several different carriers. Many of these companies represent life insurance providers that offer fast approval quotes and coverage. If you work with one of these services, all you have to do is provide them with some basic information, and they’ll procure quotes from insurance carriers for you. The quotes will be made available to you directly from their website. If you find a policy that you’re interested in, the company will direct you to the carrier’s site and you’ll proceed with filling out your application. Working with this type of service will save you a tremendous amount of time and make the process of getting life insurance coverage even faster.